NEW GUIDE: Rotary Encoder « Adafruit Industries – Makers, hackers, artists, designers and engineers! Learn how to use a rotary encoder with the new rotary encoder support built into CircuitPython! Rotary encoders are a special kind of switch that convert the motion of the switch (clockwise or counterclockwise) into an output signal that can be used to determine what direction the knob is being rotated. 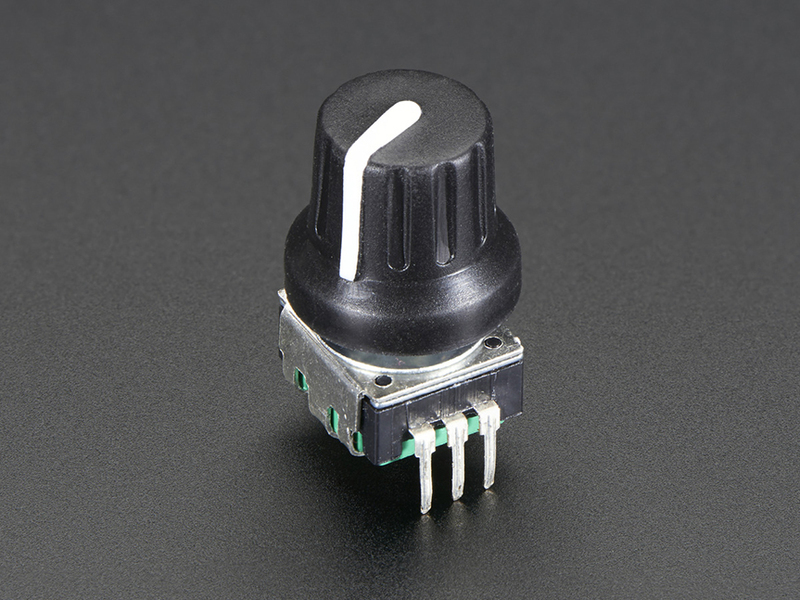 When a potentiometer just won’t do, the rotary encoder steps up to save the day! Learn how to use the brand new rotary encoder support in CircuitPython 3.0 to easily work with your rotary encoder and CircuitPython board. This guide provides a simple example to test your setup and then shows you how to turn your rotary encoder into a volume control knob and play/pause switch for your computer!